Meets The Essential Needs Of Time Weakened Hair Where Cell Renewal Has Slowed Down Through Either The Physical Ageing Process Or The Life Span Of The Fiber. Time-weakened Hair Is Reinforced From Within While Being Resurfaced With Jasmin Essential Oil Lipids. It Purifies & Gives Body To The Hair. Hair Is Left Voluptuous To The Touch, Feeling Light And Looking Radiant. In Asia Jasmine Was Once Considered So Precious That It Was Only Found In Imperial Gardens; The Emperors Wished To Have The Sole Privilege Of Its Perfume And Virtues. Revitalising, Thanks To Its Healing & Regenerating Power, The Delicate Scent Which Exudes From Jasmine Flowers Is Equally Relaxing. 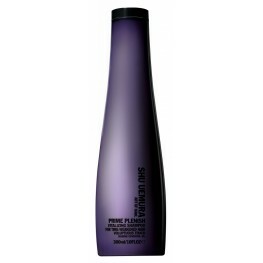 Prime Plenish For Time-weakened Hair Vitalising Range For Time Weakened Hair With Jasmine Oil..